PROSPECT Journal is collaborating with China Focus, a blog focusing China’s role in the world and U.S.-China relations. As part of this collaboration, PROSPECT will be intermittently publishing articles by the China Focus bloggers. Our journal is excited to bring a wider range of expert analysis of Chinese politics, economics and culture to our readers. China has experienced waves of tightening information control and censorship over the web since Xi Jinping became the new Party Secretary and the supreme leader of China in November 2012, according to multiple international organizations’ observations. To the disappointment of many media practitioners, intellectuals, and ordinary netizens who used to expect greater freedom of information under the apparently reform-minded new leadership, there is nothing new under the sun. Quite the opposite is true. The recent leadership rotation within the Chinese Communist Party (CCP) and ensuing political tensions led to a worsening of conditions for online social media and increasing dissatisfaction among users. The same conclusion would be drawn by any Chinese social media user without access to data. While the Ministry of Truth (aka the Propaganda Department) operates at full-capacity, the Great Firewall (China’s internet censorship program) is extending to the horizon of new social media. The latest casualties include Instagram and Gmail, the former was blocked in September 2014 for the spread of street protestor photos in Hong Kong, and the latter suffered during the government’s latest step to limit Google’s influence. There are also some people who are indifferent to the increased internet blocks, as many of them are not frequent users of foreign social media. “They can switch from Google to Baidu and the latter is no less accurate!” Comments like this do exist, but are frequently derided. For many advanced users of Google services, including Google Drive and Gmail, switching to Baidu is an unwanted necessary evil, as the latter is a domestic search engine complying with even the most absurd regulations of the government’s censorship regime. However, switching to domestic alternatives is not a viable option for me and many of my friends. There are many explanations to China’s escalating web crackdown. The Freedom House report points to the CCP’s need to strengthen its official narrative and keep unwanted rumors under control during intensified political conflicts, highlighted during the fall of former Chongqing Party Secretary Bo Xilai in 2012 and themore recent purge of Zhou Yongkang. Zhou was the former Chief of Internal Security and one of the most powerful political figures in China. An unprecedentedly heavy censorship scheme was imposed on Sina Weibo and other microblogging platforms during Bo’s trial. 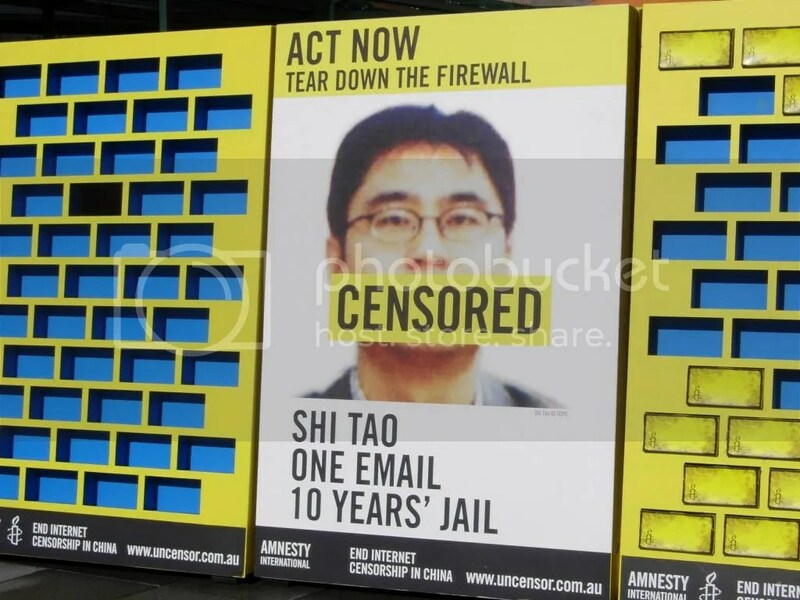 And censorship of keywords related to Zhou were only recently lifted after the official news on his trial was out. Ironically, such heavy-handed measures provided more credibility to the rumors (even the untrue ones). Another reason for internet censorship is to control the inflow of information during specific times. For example, the escalating disruption of all types of Google services started in the run-up to the 25thanniversary of the 1989 Tiananmen Crackdown and its memorials in June. Then there was also the the Instagram ban issued during the high-tide of the Hong Kong street demonstrations, when tens of thousands protested the central government’s decision to continue manipulating the Chief Executive election by only allowing centrally-nominated candidates on the ballot in 2017. The consequences of escalating censorship and information control seem to be more negative than positive – even from the Party’s perspective. For one, netizens can still know the truth if we really want to; there are too many ways to evade the Great Firewall. VPNs and sites like FreeWeibo.com can help people find blocked or deleted information at little (political) cost. Moreover, Freedom House warns that increasing social media repression only reveals the regime’s deepening sense of insecurity and further harms the party’s authority in the long run. Be aware: we Chinese people are practical animals who don’t care about politics if we are not bothered. Yet as more people are annoyed by the intrusion on their freedom to watch YouTube documentaries, play Candy Crush on Facebook, or share selfies on Instagram, the government makes itself more derisive, ridiculous, and less legitimate in the eyes of the young netizens. If the Party did not want the Internet to challenge its information monopoly, then the Party should have followed North Korea’s example; they should have banned the internet in the 1990s when they still had the chance.